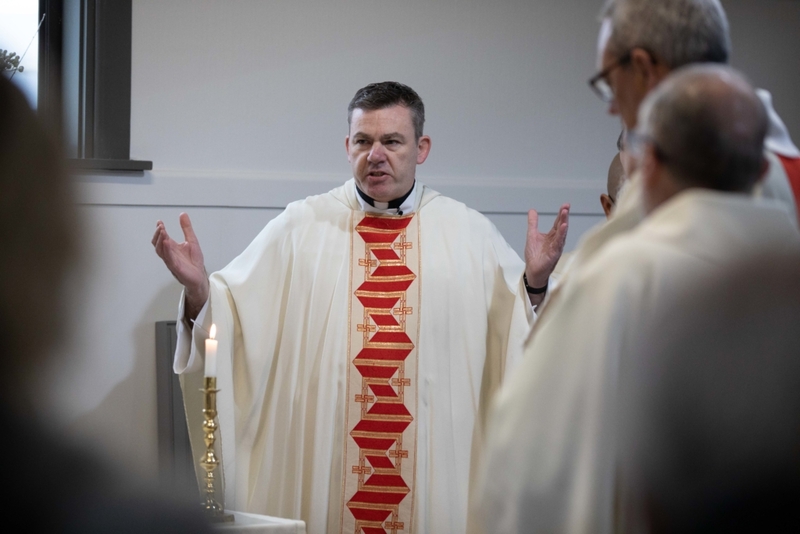 Fr Rob Morris SJ was ordained to the priesthood at St Mary's Pro-Cathedral in Christchurch on 2 June. 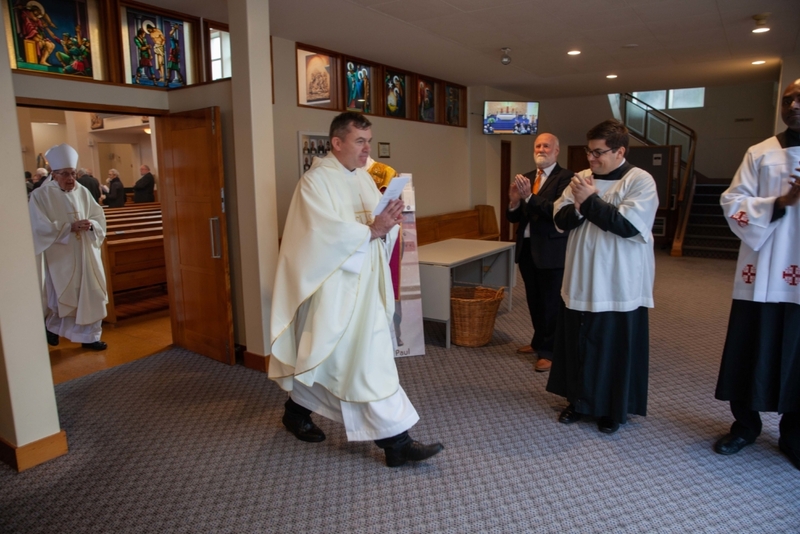 It was a special coming home for newly-ordained Jesuit Fr Rob Morris in Christchurch last weekend, surrounded by family and brother Jesuits as he began his priestly ministry. 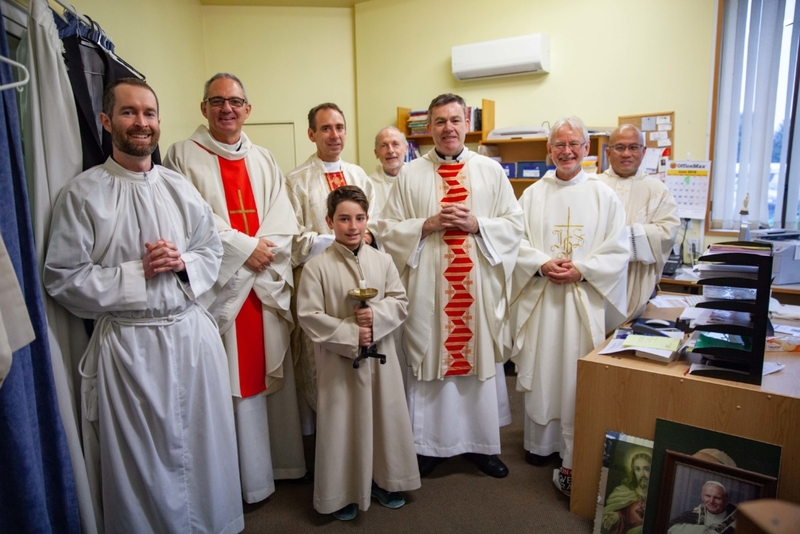 Fr Morris was ordained to the priesthood by Christchurch Bishop Paul Martin SM at St Mary’s Pro-Cathedral on 2 June. 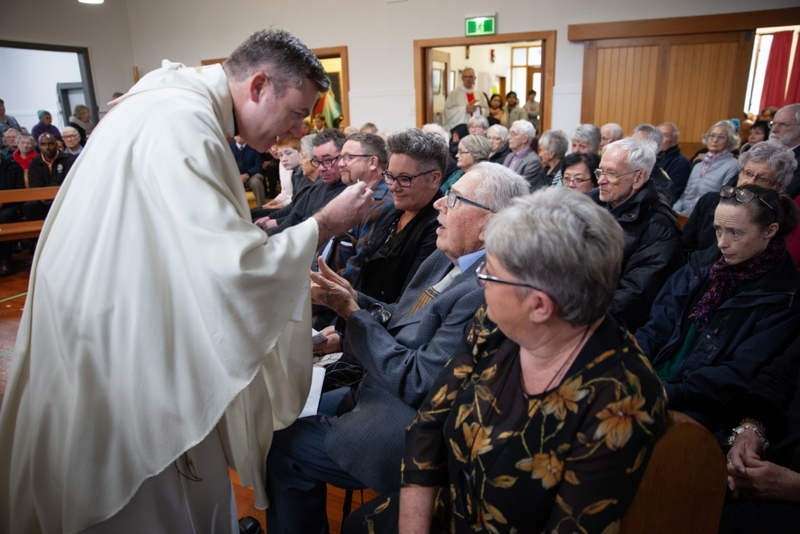 A number of Australian Jesuits and lay companions travelled across the Tasman for the celebrations. 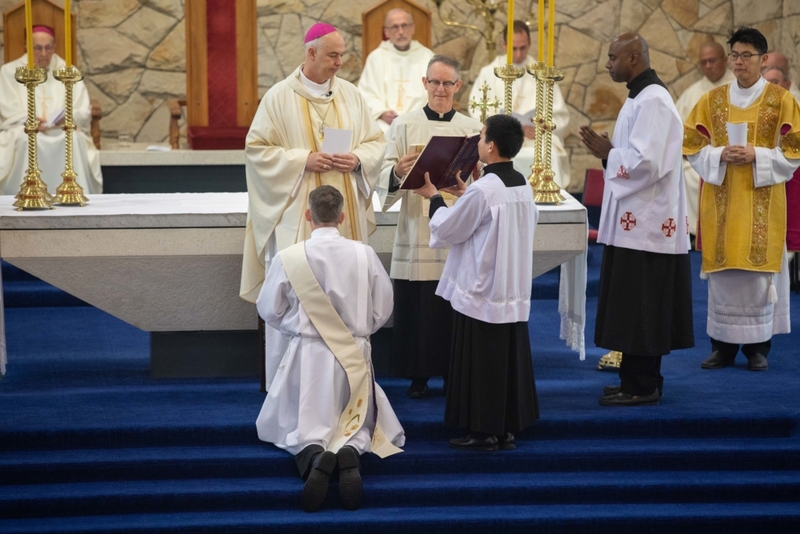 They joined the new priest for his first Mass in his home parish of Our Lady of Victories in Sockburn on Sunday 3 June. Fr Morris preached in the very church where he once sat as a young boy. Below are some images from the ceremonies (photos by Peter Fleming). 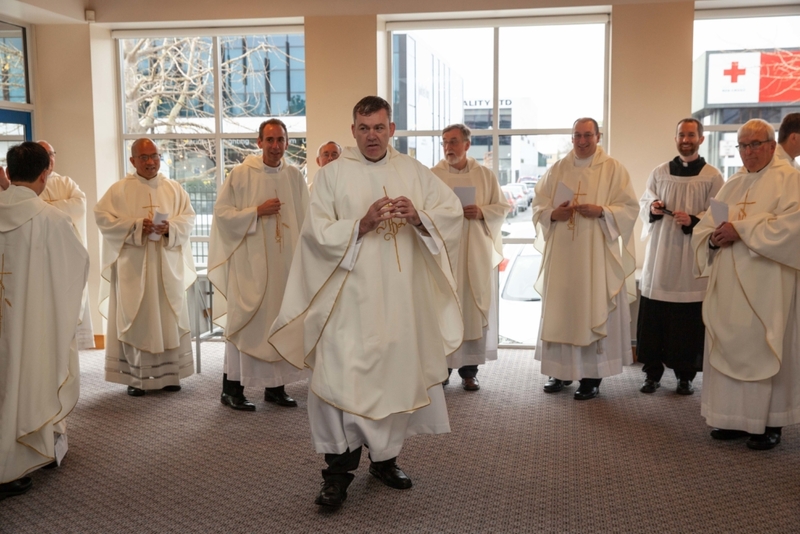 Fr Morris during the ordination ceremony. Fr Morris is greeted by his brother Jesuits after the ceremony. Fr Morris preparing to preach at his first Mass at Our Lady of Victories Parish.